Or view larger version. Field Workers – Carrots – Imperial Valley. 1935. Dorothea Lange. Gelatin silver print. Collection of Oakland Museum of California. Gift of Paul S. Taylor. 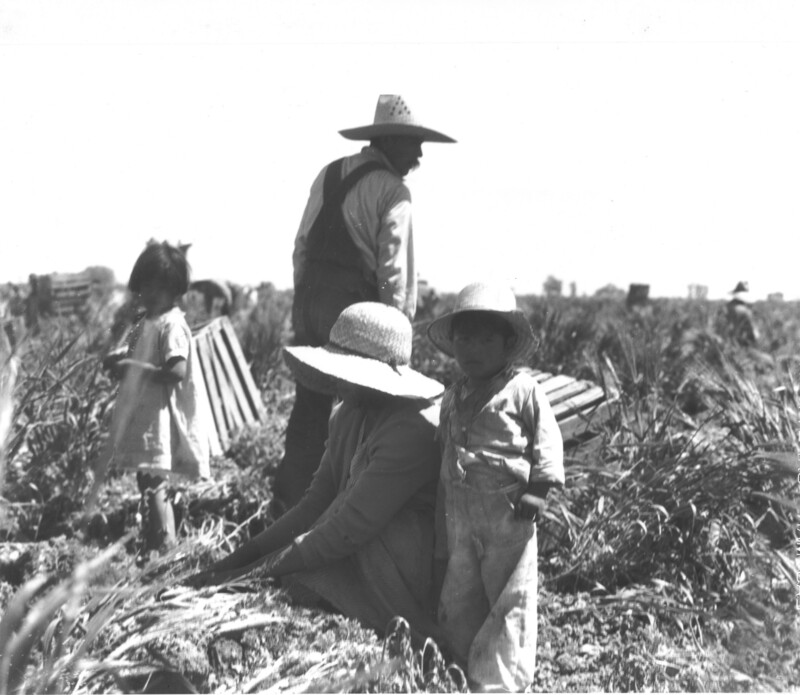 This photograph shows a family working in the fields of the Imperial Valley in southern California in 1935. Children often accompanied their family members into the fields, and worked along side the adults. Most often they were pushed aside and ignored by local schools. It was not until 1938 when the Kern County Superintendent of Education set up an experimental special education program in one of the county’s migrant camps that migrant children began receiving a public education.